There are lots of books, movies, and TV shows that feature musuems in their story lines. Check out some of them! Archives on TV – Who Do You Think You Are? Archives, libraries and museums figure prominently on the hit NBC show Who Do You Think You Are? The series traces the genealogy of celebrities, often with surprising results. This series, featuring Rick’s Restoration in Las Vegas, provides a glimpse into the complicated and often pricey world of antique repair and restoration. 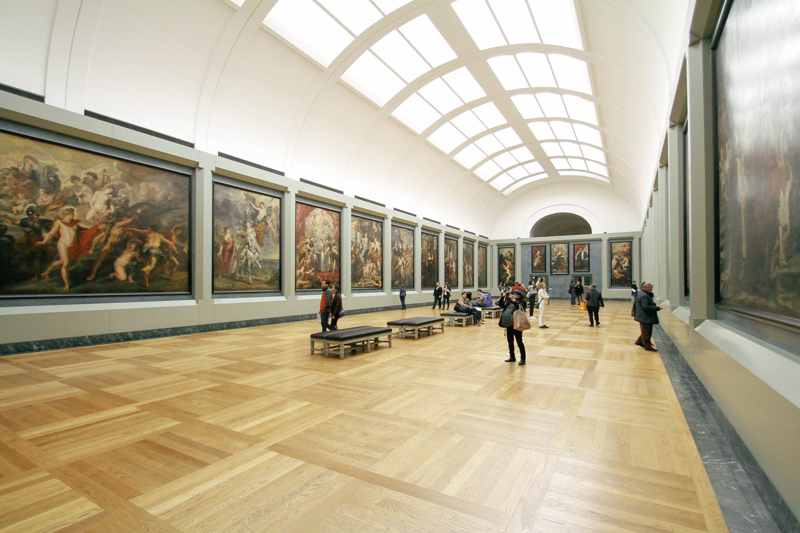 This wonderful one-stop shopping publication provides an excellent overview of collection management processes and procedures for new and experienced museum professionals. The Secret Cemetery is a ground-breaking new book on the rarely studied contemporary use of cemeteries. Using extensive interviews and questionnaires with mourners at several London cemeteries, a fascinating picture emerges. This comic book style children’s book weaves the masterpieces of the Metropolitan Museum of Art into the tale of a young girl’s balloon as it travels the streets of New York City! Part travelogue, part memoir, part coming-of-age story – sprinkled with mini history lessons and side trips to quirky museums – this fresh and witty book is a must-read! This book is truly eye candy for anyone interested in fashion history! This one-of-a-kind book of poems about museums mixes art, science, and history with the art of poetry writing. What a historic journey of New York City’s movers and shakers! Exhibit Labels by Beverly Serrell is a wonderful introduction for the novice museum writer, as well as a guide to improving the well-seasoned writer's exhibit label copy. This adorable children’s book feature a museum field trip and new vocabulary words. If you’re looking for one book that will give you a great overview of old china, this is it! This children’s book is a great introduction to museums for kids 2 and older! This picture book tells the story of a fun, mysterious trip to an art museum. Museums in Motion covers every aspect of the museum field – from collecting and preserving artifacts to exhibiting and interpreting them. The book is a wonderful introduction to the field for both students and museum visitors. This book about the Roaring Twenties, written in 1931, has both a contemporary and historical perspective on the decade. A must read for any 1920s enthusiast!! If you’ve ever wondered what it was like to live as a member of the upper crust in the Gilded Age, this book is for you! This book is full of vintage illustrations of that garment we love to hate – the corset! Written by prominent historians, this hard-to-find book about cemeteries is definitely worth reading! The thick catalog that accompanies the exhibit Wedded Perfection is an amazing review of the gowns featured in the show. But it also includes extensive essays on the history of the American wedding. All you ever wanted to know about creating your first museum exhibit! This ebook contains advice from a professional curator, including photos, charts, worksheets, samples, lists, and MORE! Learn about what goes on "behind the scenes" in a museum. Writing a local history book is a wonderful way to contribute to your community! Read on for some advice from an experienced author. If you’re interested in the history of America’s most famous residence – and its residents! – for more than two centuries, the journal White House History is for you! Just what would happen if there WAS a secret map hidden in invisible ink on the back of the Declaration of Independence? In this “Ocean’s Eleven meets Indiana Jones” flick, you’ll be whisked to some of our country’s most important historic sites! With a sequel about the be released, be sure you see the original movie first! This quirky comedy about three museum security guards who plan to steal their favorite pieces of art to prevent them from leaving the country is a must-see for anyone who loves museums! The ebook A Museum Career Handbook: Practical Advice for Navigating Your Career in the Museum Field is intended as a guide for new museum professionals, as well as museum studies students who will soon be entering the field. New Series of Ebooks – Museum Trips! Written by a museum curator and director of education, the "Museum Trips!" series of ebooks explores the museums and cultural attractions in one city, including hotel and restaurant recommendations, with lots of pictures of exhibits!